The chairs arrived quickly, were easy to assemble with no additional tools needed appear to be durable and look fantastic. I would definitely recommend and purchase again. "Is the hardware that it is assembled with stainless?" Hello MW, yes, the hardware that this is assembled with is stainless. Thank you for shopping with us! "The description for the width shows 11 inches. Is this correct? If not, please let me know the proper width. Thanks." Hello ashy45, we apologize for the confusion and are working to correct the page. 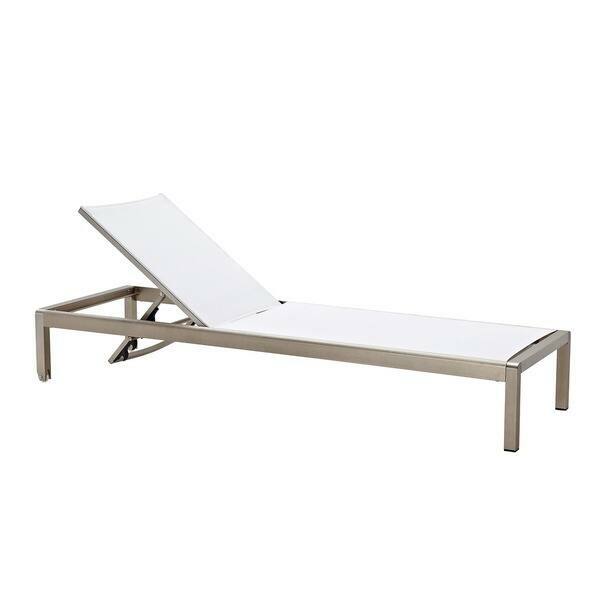 The chaise is approximately 11.7 inches high x 25 inches wide x 76 inches deep. I hope this information helps. Thanks for shopping with us! Can this chair be placed in a pool (on a tanning ledge)? Or will it rust? "Is the white surface easy to clean?" Hello mm, we can appreciate the fact you want a firsthand account of the product. You will receive an email notification every time you get a response. Thank you for shopping with us.